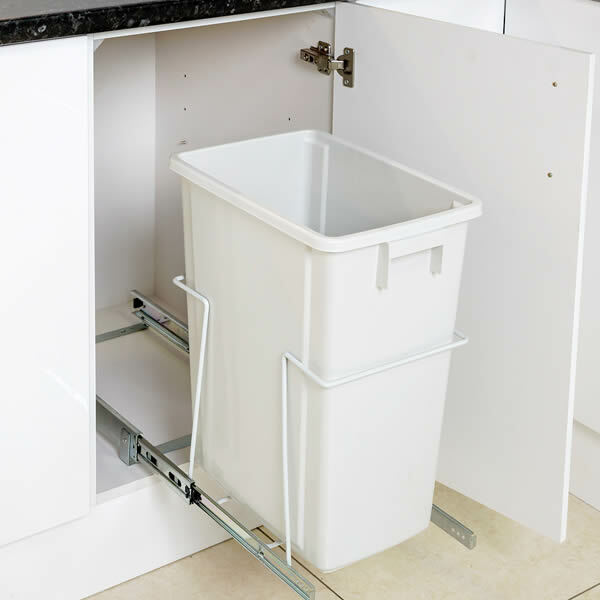 If you’re looking for an easy solution to your kitchen waste problems, then this 35L Waste Bin is meant just for you. 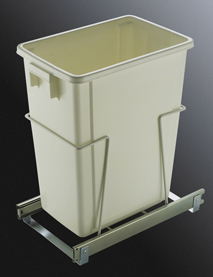 Based on a single pull-out system, this waste bin is suitable for use with our left or right hinged 30cm base unit. 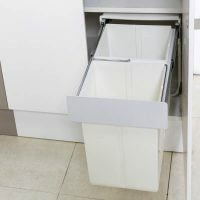 Available in a standard white finish, this bin will go well with modern cabinetry and interiors of any kitchen. With a huge bin with a total capacity of 35L, this waste bin measures 450mm x 260mm x 520mm and is certainly large enough to house all your kitchen waste. By making use of this bin, you will be able to keep all your trash out of sight. Thanks to the easy pull-out mechanism, this waste bin is incredibly convenient to use as well. A high-quality product made from top grade materials, this waste bin is not prone to wearing, even after many years of usage. You can make good use of this bin to get rid of all your kitchen waste for many years to come. A top selling product, this waste bin is currently available at an unbelievable bargain on Ross’s Discount Home Centre. So what are you waiting for? Buy this waste bin and keep your kitchen spotless clean!